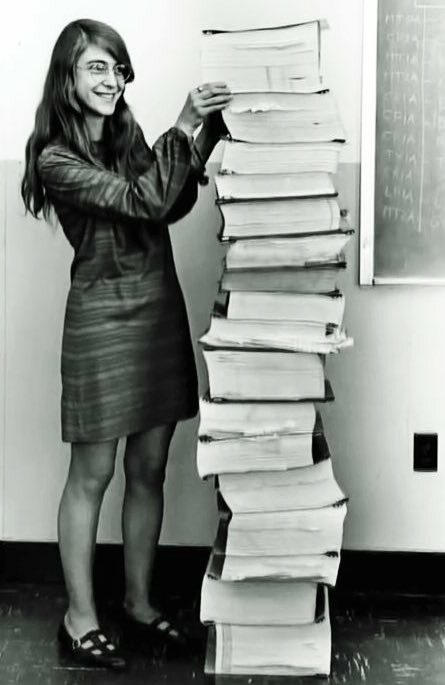 Margaret Hamilton, NASA. Standing next to a printout of the source code she and her team wrote for the Apollo guidance computer that made the moon landings possible. The software for the guidance computer was written by a team at the MIT Instrumentation Laboratory (now the Draper Laboratory), headed up by Margaret Hamilton. Hamilton is now 78 and runs Hamilton Technologies, the Cambridge, Massachusetts-based company she founded in 1986. She’s lived to see “software engineering” — a term she coined — grow from a relative backwater in computing into a prestigious profession. My aunt was one of those early software engineers. She wrote a chapter for a book, Programming the IBM 360, in the 1960s. 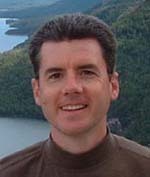 My uncle was one of the first employees at NASA and rose to be one of the senior administrators there over his career. It is great when society is able to capture the value individuals are capable of providing. We need to make sure we allow everyone opportunities to contribute. We do well in many ways but we also do lose from discrimination and also just making it uncomfortable for people to contribute in certain roles when we need not do so. We have accomplished great things with software in the last 40 years. We could have accomplished more if we had done a better job of allowing women to contribute to the efforts in this field. Touchdown on Mars will take place August 5th, 2012 (PDT or August 6th EDT and GMT).